Once you know your color category you can use this knowledge to build your own capsule wardrobe. Below are some of my favorite items for a Summer complexion, be it cool, light, or soft. You don’t want a color to wash you out, but you also don’t want a color to overwhelm you. You should always be the star of what you wear. The colors you put on should have the same amount of intensity as the colors in your features. Everything should feel balanced and cohesive. 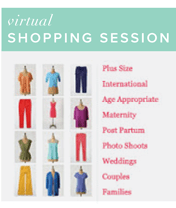 VIRTUAL COLOR CONSULTATION $20 Discover which colors flatter you most and which you might want to avoid. Completely virtual based on pictures and digital survey.